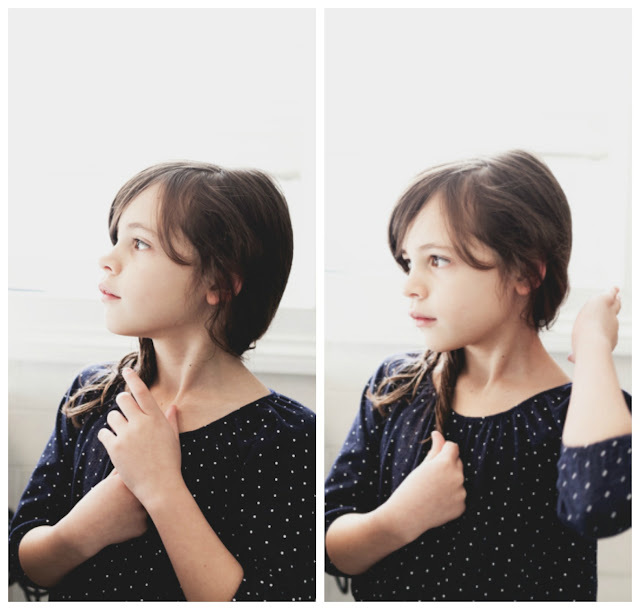 As the mother of a six-year-old daughter, I worry about her self-esteem. She has a lot of it right now, which is a good thing. She loves her wavy/curly hair, she loves her full lips, she feels beautiful. She is beautiful. But because she is a girl--and because I'm one, too--I know there is likely a point coming down the road when she will look in the mirror and see herself differently. She may not see the beauty that I see now and that I will always see. And I know that I play an outsize role in making sure she continues to love her appearance. 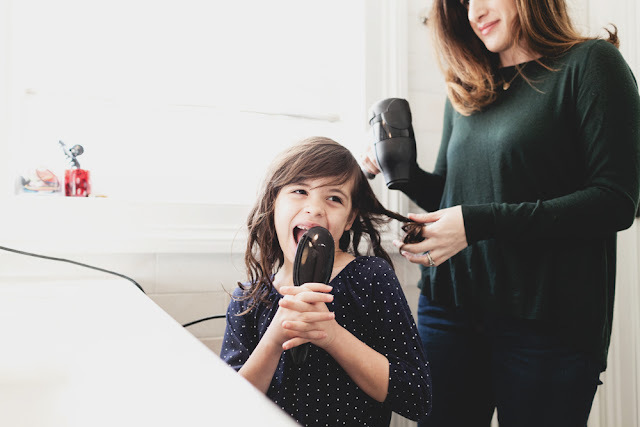 In fact, a recent Dove study found that positive role models can significantly affect a young girl's confidence, and that 82 percent of daughters learn to care about themselves from their mother. So, I'm on it! And, like many other things, it starts with hair. This is a particularly fraught issue for me as I've had a true love-hate relationship with my own hair for as long as I can remember. 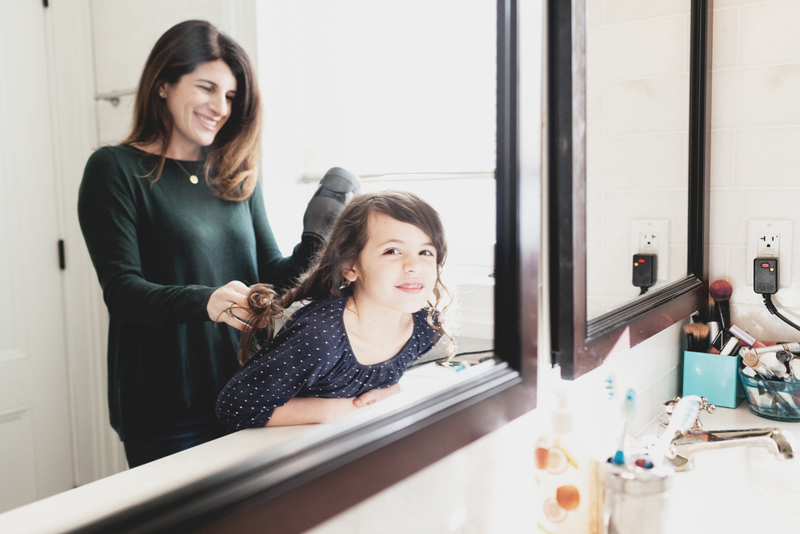 Like my daughter, my hair is curly/wavy, but unlike my daughter--who has soft, perfectly-formed curls--my hair is also really frizzy. 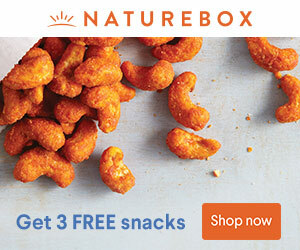 So if I'm being honest, I don't love--or even like--it in its natural state. I have long preferred my hair blown out, smooth and straight. 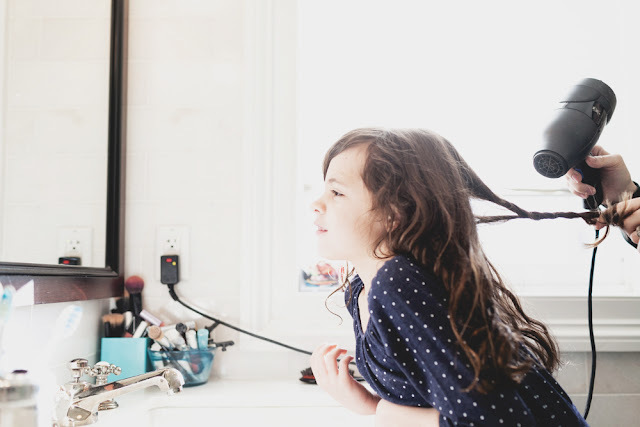 But I am determined that my daughter will love her own hair. I tell her all the time how beautiful it is, and I always want her curls to look even curlier. When we get her hair cut, we ask the stylist to trim it with layers that encourage the curls, and when I blowdry her hair, I twist it in a way that coaxes those curls out. Sometimes she wears it straight, too, but in those moments, I'm very careful with the language I use to describe her hair. Her straight hair isn't better, it isn't more polished, it isn't prettier. Straight is an option, not the ideal. And I'm working on me, too. I may not be ready to wear my hair completely natural yet, but I've been experimenting with some curlier and wavier styles. (And I've been loving them!) And I never complain about my hair in front of her. I'm learning to love my hair, because I love my girl. Because this issue is so close to my heart (and head! ), I've partnered with Dove on their mission to help moms inspire hair confidence in their girls and teach them to love their hair. 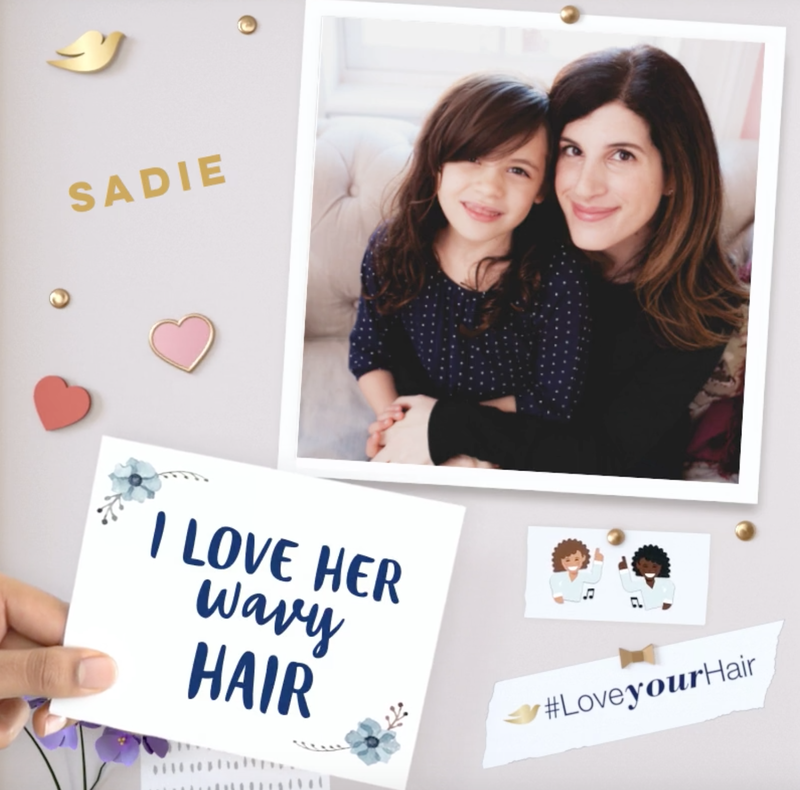 If you're a mom, you can start by creating an adorable custom #LoveYourHair animated message right here and then sharing it on social media. (That's mine above. They're cute, right?) Then, tell your daughter how beautiful her hair is. And keep on telling her. This post was sponsored by Dove. 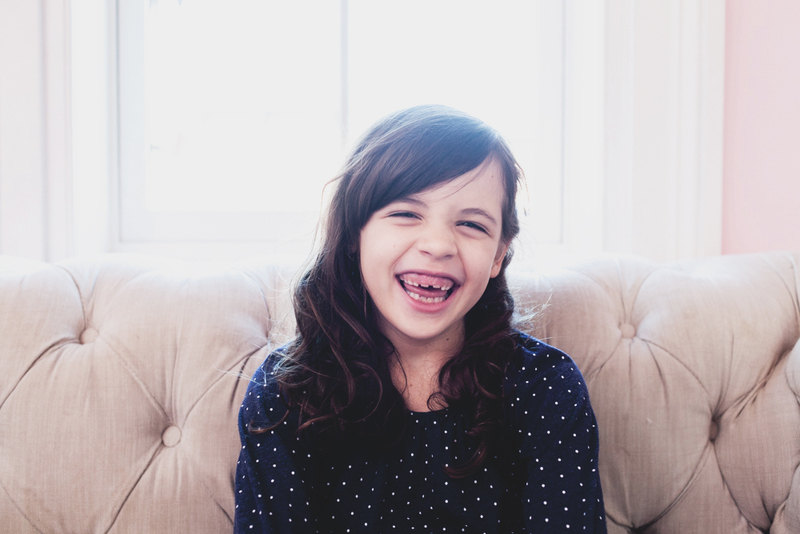 Our kids, 3 boys and a girl, are also six years old and I worry about the same things. Our son has curly hair and we are always complimenting him on it. All of our kids feel good about their appearances and their intelligence etc. now. But I worry that will change and am trying to prevent it too. 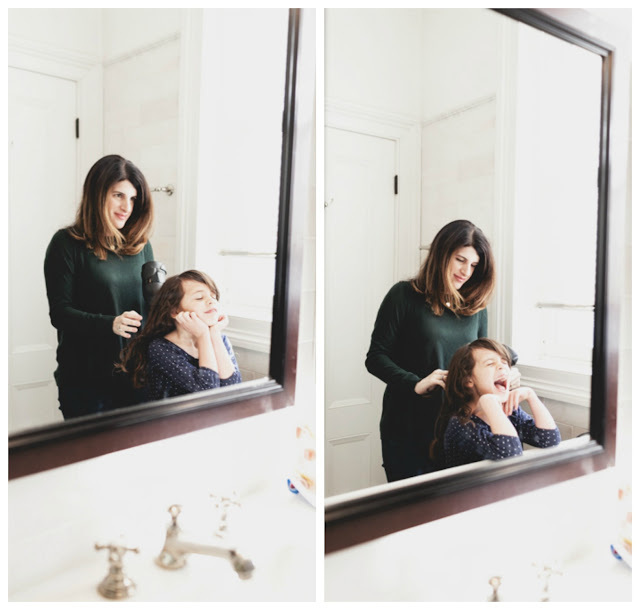 I love that you are experimenting with curly styles to show your daughter in actions to love her hair. She is so beautiful, just like her mommy! And I would give ANYTHING to have curly hair. So I spend the amount of time you spend straightening with rollers and irons and round brushes. Happy New Year to you both! Great post! Some words of wisdom. What sweater are you wearing here in the pictures? Love it! I've always wanted curly/wavy thick hair! It's princess hair! So nicely said! I've had a mixed love-hate experience with my own curls over the years. My daughter has the most beautiful auburn, slightly wavy hair. Women are always telling her people pay a lot of money for color like that. 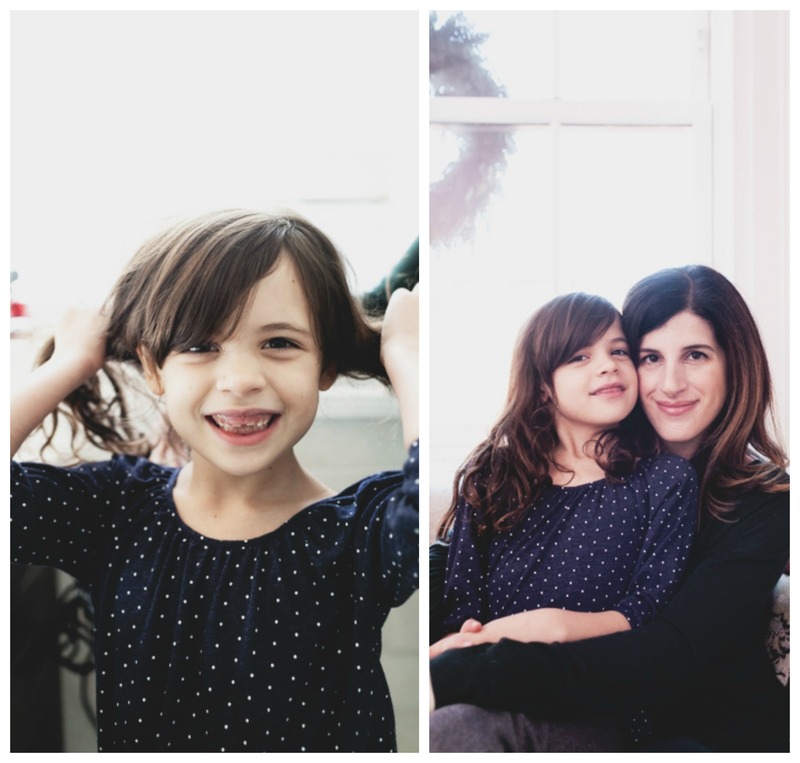 For the holidays, of course she asked for a straightening iron! I got her one, in the spirit of you can love your hair in all its many forms. They are ALWAYS listening! My little one has even been stepping on the scale in my bathroom, asking how much she weighs. I tell her to number and to my surprise, she always seems disappointed. She is 4! Stay positive and keep up the good parenting! I love this positive message! 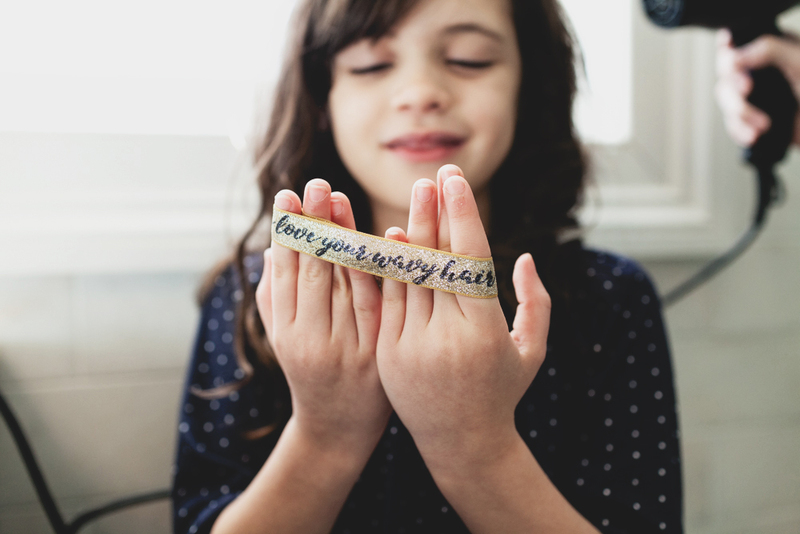 Girls should love their hair, and the rest of themselves, too. 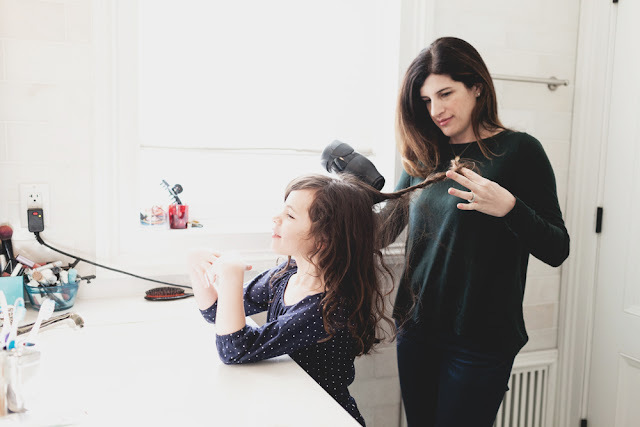 I have curly hair and i love my hair... My daughter has straight hair and I teach her to love her hair even if takes more work to get curls. Omg just love this message!!! My daughter has super curly hair. I'm always trying to teach her how to do it! This is BEAUTIFUL!! How special and positive! Plus, what charming images of the two of you enjoying yourselves!! She's so adorable!!! And what a great message. 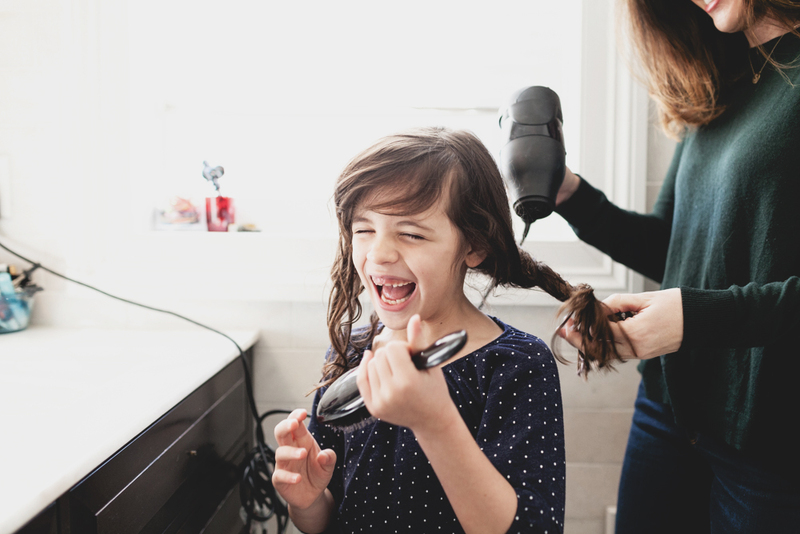 This is the time she is building her self esteem and you're doing everything right by teaching her how to love her hair! I love this. My mom set a great example for me too and I attribute it to the confidence I had as a teen and now into my mid-twenties. You rock!